How do I make changes or delete my ad? If you have a change to your ad, or its status, contact AzDA’s Classified Department at (480) 344-5777 ext 306. They will be happy to help you make the adjustment. How many hits does the classified section get per month? AzDA’s classified section is one of the most popular areas on azda.org. 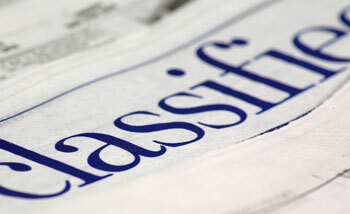 Each month the classified section receives over 2,300 hits. Do AzDA member dentists get a discount? Absolutely, in fact, they receive 50% off. Make sure you have your ADA/AzDA number available when submitting your ad. Will I receive an invoice for the advertisement? No. Our ads are paid for in-full at the time of submission. This cuts down on paperwork and keeps costs lower for you. Are there classified ad disclaimers I should be aware of? Yes. Classified advertisements are subject to the approval of the Arizona Dental Association (AzDA) and may be edited for length and/or clarity. Renewing and canceling ads is advertiser's responsibility. If worksheet does not indicate the number of months your ad should run, it will run for one month only. AzDA does not assume liability for content of advertisements, nor do advertisements constitute endorsement of products or services. AzDA reserves the right to refuse or cancel any advertisement at any time. Please allow 24 hours for advertisements to be posted online. How long before my ad is posted online? In almost all cases, your ad will be placed within one business day. If after one business day your ad has not appeared, please alert the Classified Department at (480) 344-5777 ext 306. What is the most common error advertisers make in placing an ad? What if I can’t find an applicable category for my ad? Bring it to our attention by emailing Linda@azda.org, and we will respond to you within 48 (business) hours.